Yesterday I was on a mission. I had no kids and a big list of things that I needed to buy for Molly’s party. I was hoping to hit Spotlight and Kitchen Warehouse to get all my party needs. I was bitterly disappointed. Spotlight had some of my items while I had no luck at Kitchen Warehouse. So I thought I’d try my luck at Garden City –Nothing at Craft Riot and washi tape at Typo- yay! So I came home annoyed that I wasted most of my kid free day running around with only half of my list completed. I decided to jump online and purchase the missing items. I have a two favourite websites that I love to use Pink Frosting and The Party Parlour. Pink Frosting is Australia’s number one online wedding shop, and listed in the top 5 gift ecommerce websites in Australia for our wedding, party, entertaining and baby shower supplies. The Party Parlour is also an Australian website that has a big range of gorgeous party products. Both websites have lots great ideas for hosting any type of party! 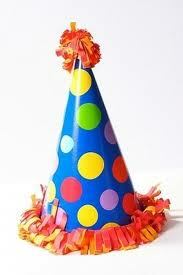 So any Perth people out there wanting a business idea please open a decent party supply shop. I’ll be your first customer!